Three welcome points against the bottom side, with the perfect hat trick of left foot, right foot and header by Connor French, who stole the Man of the Match honours on a day when there were probably three or four other contenders for that award. Jensen Grant was immense in midfield and had the first chance with a header from Nathan Simpson’s cross. 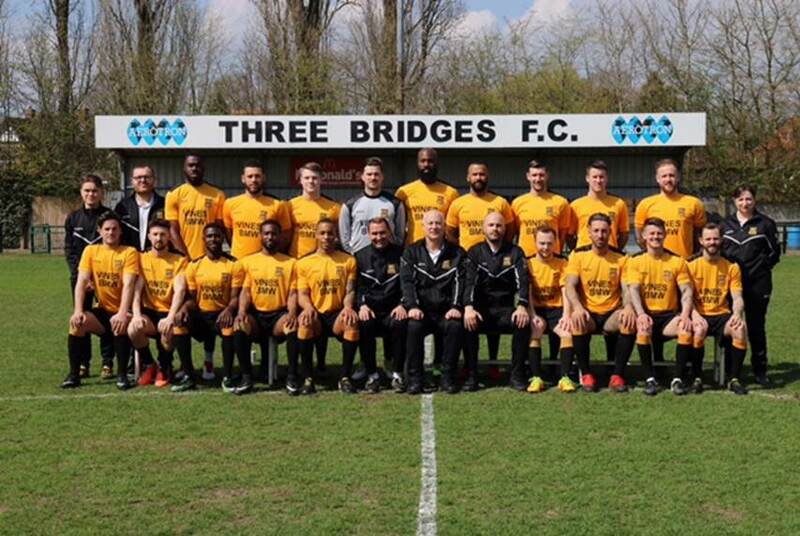 With the home side looking reluctant to attack in numbers, it was no surprise that Bridges looked the more dangerous throughout the first half with newcomer John Ufuah, the excellent Olumide Oluwatimilehin and Alex Clark all seeing efforts cleared for corners. Ibby Akanbi was also looking in top form and he was denied by the feet of experienced keeper Simon Overland after a neat pass from French. Herne Bay at last responded after 36 minutes with a lovely cross by Alex Mulrooney-Skinner that finished with Tom Carlton driving just wide of the far post. And their liveliest player Sonny Black had a shot blocked soon after. But it was a false dawn for them as Bridges took the lead three minutes before the interval. Akanbi played the ball wide to Clark, whose cross to the near post was bundled home by French, and just two minutes later Akanbi crossed from the left to French, who had his back to goal but turned brilliantly to net his second. Having seen a two goal advantage overturned only a week earlier, Bridges had a scare inside the first minute of the second half as Jake Embery ran through, but James Shaw denied him brilliantly. French then fired over from Oluwatimilehin’s cross before Bradley Schafer headed wide after stealing into space at a corner. But it was Bridges who continued to look the more likely to score as Clark had a shot blocked after being sent clear by Ikanbi, who volleyed wide himself following another superb cross by Oluwatimilehin. And after 77 minutes a great run by Clark on the right, who left the unfortunate Raphe Brown struggling in his wake, finished with another delightful cross for French to almost casually head past Overland. More chances came with Akanbi seeing a free kick held, whilst Overland was kept busy as he blocked a good effort by Mason Doughty, whose follow up header was then cleared before Clark blasted the loose ball wide. And two minutes into added time, there was another good block to deny the tireless Akanbi. Aerotron Man of the Match: Connor French.